Articulated Wheel Loaders, Dumpers, Excavators, JCB & Telescopic Material Handlers. 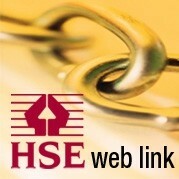 Training conducted in accordance with Health & Safety At Work Act & 1998 PUWER/LOLER Regulations. Candidates successfully completing the assesment at the course conclusion are awarded a certificate indicating that they have been subjected to a formal training course. To obtain an exact quotation for your training needs please Email us or telephone on 01952 550048. We will simply require to know the number of trainees and your location. Click on the image below to view the course prospectus. If you wish to download this file right click on the link and select 'Save Link Target As? '.